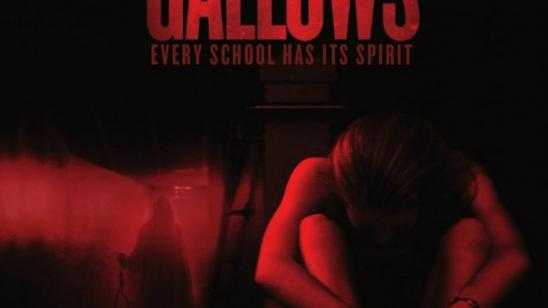 Co-directors Travis Cluff and Chris Lofing is releasing The Gallows (2015) on Digital HD this upcoming September 29, 2015, and on Blu-ray / DVD on October 13, 2015, via Warner Bros. Home Entertainment. The found footage horror movie Blu-ray / DVD combo pack comes with the standard deleted scenes, original version and the surviving the noose version, gag reel and a few other features detailed below. Reese Mishler, Pfeifer Brown, and Ryan Shoos star in The Gallows. Burbank, CA, September 2, 2015 - Don’t say his name when "The Gallows" arrives onto Blu-ray Combo Pack, DVD and Digital HD from Warner Bros. Home Entertainment. From New Line Cinema comes the horror film "The Gallows," starring Reese Mishler ("Youthful Daze"), Pfeifer Brown ("Molly’s Method"), Ryan Shoos ("As Night Comes") and Cassidy Gifford ("God’s Not Dead"). The film will be available on Blu-ray Combo Pack and DVD on October 13 and will be available early on Digital HD on September 29. "The Gallows" was directed by Chris Lofing and Travis Cluff, who also wrote the film’s screenplay. Jason Blum, Guymon Casady, Dean Schnider, Benjamin Forkner, and Lofing and Cluff produced the film alongside executive producers Dave Neustadter, Walter Hamada and Couper Samuelson. "The Gallows" will be available on Blu-ray Combo Pack for $35.99, and includes the film in high definition on Blu-ray disc, a DVD and a digital version of the movie in Digital HD with UltraViolet. The Blu-ray disc of "The Gallows" will feature a Dolby Atmos(R) soundtrack remixed specifically for the home theater environment to place and move audio anywhere in the room, including overhead. To experience Dolby Atmos at home, a Dolby Atmos enabled AV receiver and additional speakers are required. Dolby Atmos soundtracks are fully backward compatible with traditional audio configurations and legacy home entertainment equipment that aren’t Dolby Atmos compatible. Fans can also own "The Gallows" via purchase from digital retailers. Lofing and Cluff’s original feature length cut of the film - the "director’s cut" that initially caught the attention of the film’s producers and led to "The Gallows" worldwide theatrical release - is included on the Blu-ray Combo Pack and Digital HD. Twenty years after an accident caused the death of the lead actor during a high school play, students at the same small town school resurrect the failed stage production in a misguided attempt to honor the anniversary of the tragedy - but ultimately find out that some things are better left alone. On September 29, "The Gallows" will be available to own for streaming and download to watch anywhere in high definition and standard definition on favorite devices from select digital retailers including Amazon, CinemaNow, Flixster, iTunes, PlayStation, Vudu, Xbox and others. On October 13, "The Gallows" will be made available digitally on Video On Demand services from cable and satellite providers, and on select gaming consoles. Digital HD with UltraViolet allows fans to watch a digital version of their movie or TV show anywhere, on their favorite devices. Digital HD with UltraViolet is included with the purchase of specially marked Blu-ray discs. Digital HD with UltraViolet allows consumers to instantly stream and download movies and TV shows to TVs, computers, tablets and smartphones through UltraViolet retail services like CinemaNow, Flixster, VUDU and more. For more information on compatible devices go to wb.com/ultravioletdevices. Consult an UltraViolet Retailer for details and requirements and for a list of HD-compatible devices. Official Synopsis: Twenty years after an accident during a small town high school play results in death, students at the school resurrect the failed stage production in a misguided attempt to honor the anniversary of the tragedy - but ultimately find out that some things are better left alone.